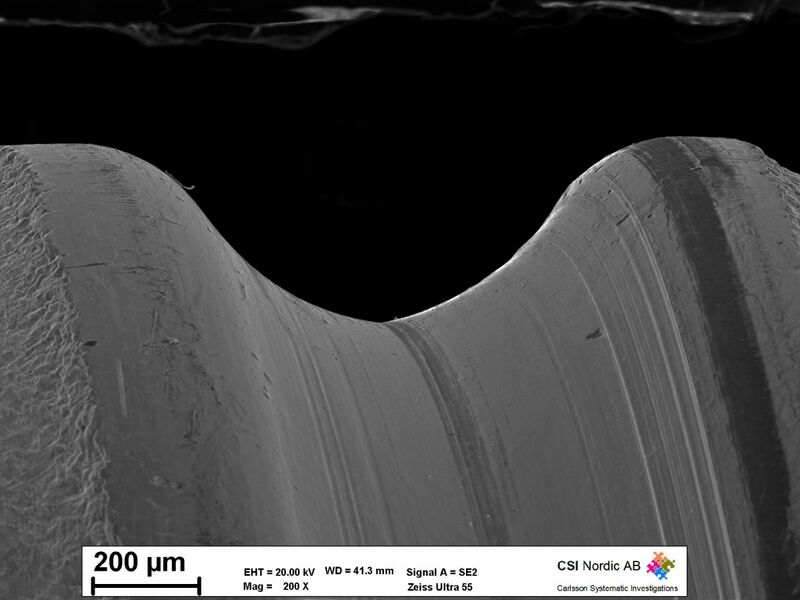 In scanning electron microscopy (SEM) an image of a sample is created by focusing an electron beam and scanning over the sample area. When the electrons impact on the sample surface they interact with the atoms in the sample and certain information can be obtained. By detecting the back scattered electrons information on the samples atomic number and topography is obtained. Analysis of X-ray radiation from excited atoms gives information on the samples elemental composition (EDX). The technique has a high depth of field which makes it suitable for analysis of surfaces with big changes in topography, e.g. fracture surfaces. 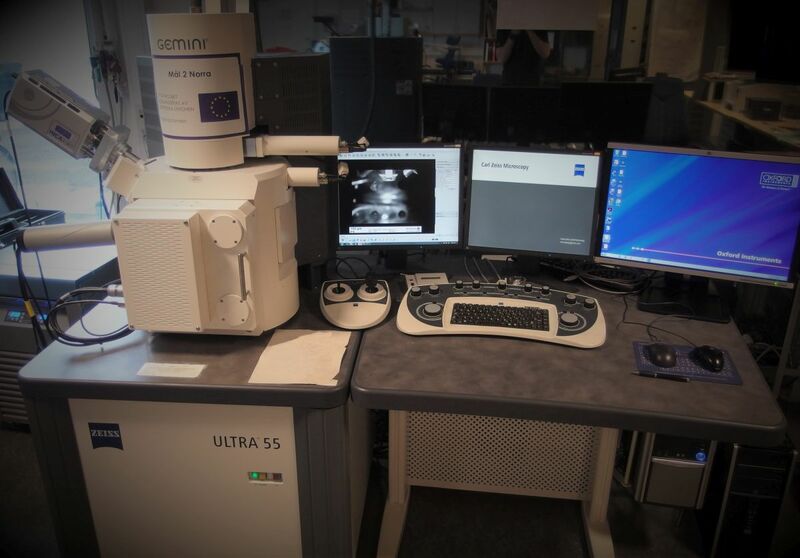 Analysis can be performed with up to several hundred thousend times magnification with a resolution on nanometer level. Secondary electron image (SE2) of a worn threaded bolt. 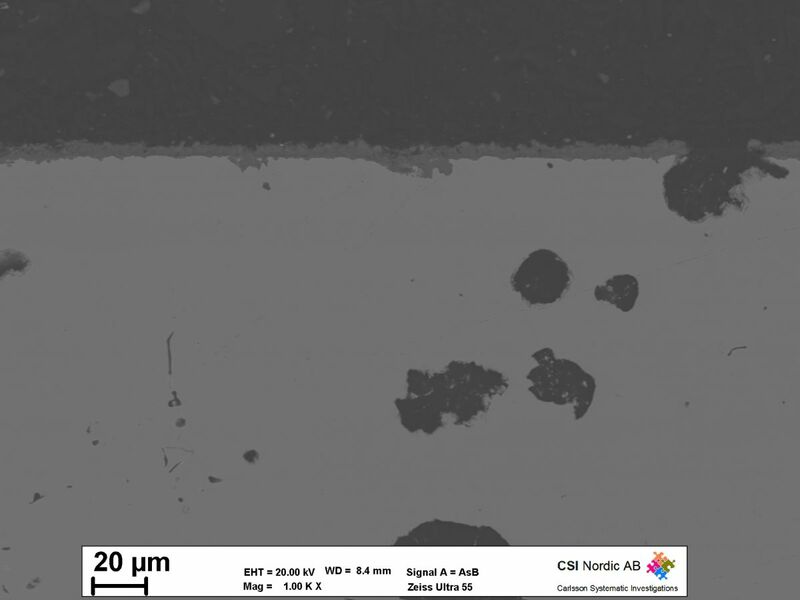 Backscatter electron image of a cross section through coated steel.